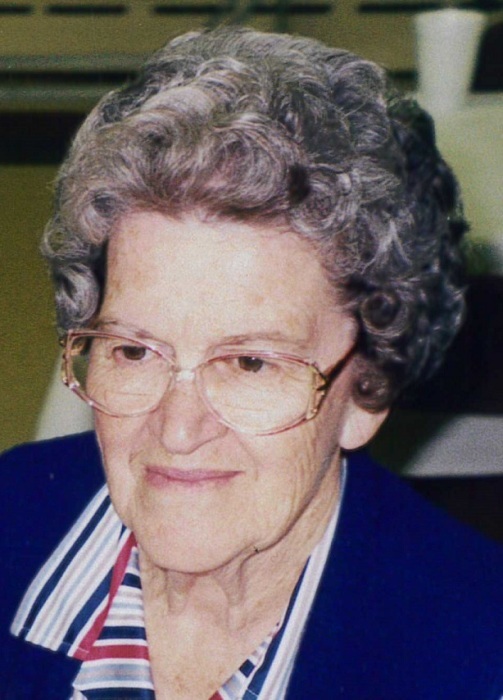 Aline Gates, 88, of Arcola, IL passed away at 5:00 A.M. on Wednesday, April 03, 2019 at the Odd Fellow-Rebekah Home in Mattoon, IL. Funeral services will be held at Noon on Saturday, April 6, 2019 at the Edwards Funeral Home, 221 East Main St., Arcola, IL. Rev. Thad Sweet will officiate. Burial will be in the Arcola Cemetery. Visitation will be held one hour prior to the funeral on Saturday. Aline was born on September 15, 1930 in Harrisburg, IL. She was a daughter of Otto and Ide (Rude) Cox. She married Cecil Henry Gates on March 23, 1947 in Galatia, IL. He passed away on March 21, 2013. She is survived by her son, Steven Ray Gates and his wife Nancy of Arcola, IL. She was preceded in death by her parents, her husband, her brother, Jackie Dale Cox and her sister, Barbara Jane McCormack. Aline enjoyed embroidering, gardening and working out in her yard. Memorials may be made to the Activity Department at the Odd-Fellow Rebekah Home or the Arcola Masonic Lodge.